When traveling to different neighborhoods unfamiliar to you, this makes the house hunting both an adventure and a thrill. But with such risks that are involved with unfamiliar towns, always be cautious that there may be a safety hazard at hand. The reality is, not every town you go to is going to perfect or welcoming. From vacant properties to open houses and even foreclosures, visiting places that you would not be comfortable in makes you a bit more skeptical about where you are going to live. Even real estate professionals feel the same way. So Moby has solved that scare by creating an application right on your phone that helps you with tracking your family members, providing a safety toolkit, and even a safety training seminar. This private and secure app focuses on real-time location alerts and manages who you want to share your information with based on contact list approval. Having a small child at home or wondering where your teen is when lost in a major city is definitely a thought that does not want to run through your head. 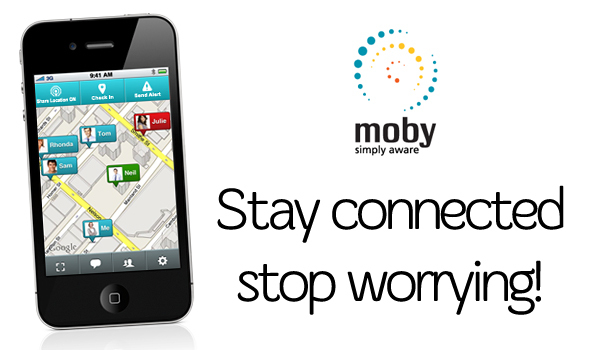 With the Moby app, the founders wanted to ensure the safety of those using it and let parents around the nation have a sigh of relief. Mommy bloggers throughout the country love the app, and it’s not hard to see why! This entry was posted in The Robyn Report and tagged dale robyn siegel, dale siegel, diaries of a mad mortgage broker, family, moby, mortgage, real estate, real estate technology. Bookmark the permalink.